Lymphoid tissue is a major reservoir of human immunodeficiency virus (HIV) infection in vivo. In addition, the lymphoid microenvironment provides a replicative advantage to the virus in that it provides a milieu of activated target cells that allows for efficient virus spread. The process of mobilization and activation of immune competent cells directed against the virus paradoxically contributes to the propagation of virus replication. Disruption of the lymphoid microenvironment during the progression of HIV disease is a poorly understood process, which may be of considerable importance pathogenically. 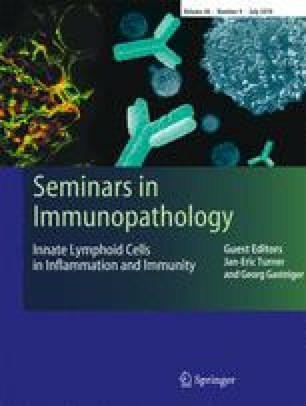 Studies of lymph node biopsy samples taken 8 weeks apart from individuals who did not undergo any change in their therapeutic regimen (i.e., patients who either remained untreated or remained on their ongoing nucleoside analogue reverse transcriptase inhibitor monotherapy regimen) revealed little change in histopathology or viral load over the 8-week period. These results with successive lymph node biopsy samples taken from different sites indicate that an isolated lymph node biopsy accurately reflects the pathologic process associated with HIV infection and that this process diffusely involves the lymphoid system. Treatment with reverse transcriptase inhibitor monotherapy of patients in relatively early stage HIV disease had no detectable impact on the viral load in lymphoid tissue, suggesting the need to investigate more potent antiretroviral regimens during this stage of disease. Among patients with moderately advanced HIV disease, switching to combination therapy from a monotherapy regimen resulted in decreased viral replication in lymph nodes; this effect was associated with decreases in plasma viremia. Despite the fact that measures of viral replication decreased significantly, the net frequency of HIV-infected cells in peripheral blood and lymph nodes remained unchanged. Potent antiretroviral drug combinations may be capable of profound and long-term down-regulation of plasma viremia. It will be essential to monitor the status of viral trapping, viral burden, and viral replication within lymphoid tissue during treatment with such drugs to determine accurately their true potential for impact on these key features of HIV pathogenesis.